It's the first Friday of the month and time to reveal our new challenge, but first we have the gift certificate winner and our top 3 projects to announce from Challenge 29 "Dimension"! We are so happy to have had so many new friends join in with us!!! your prize or Top 3 Badge. Hi everyone! Wendy here and today I'm bringing you the Friday Challenge for August. Create something inspired by Summer! 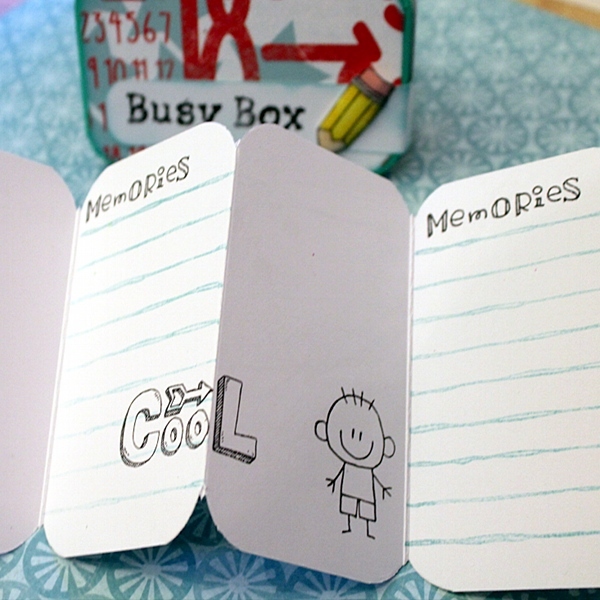 I created a Busy Box for my kids to "Beat the Boredom!". You may want to spray paint your tin with white spray paint before beginning. 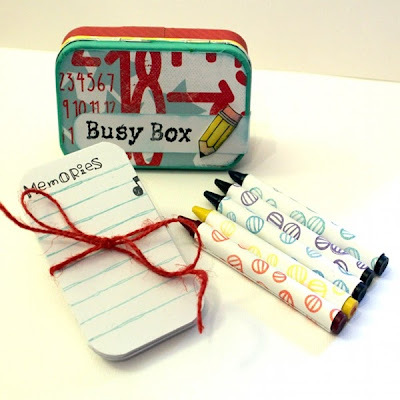 Trim papers to fit your box, rounding the corners and inking with Powder Puff inks. I used washi tape to cover the edges of the box. It was thin enough that the box could still close and wrap around the corners. Stamp a label and adhere to the box lid. 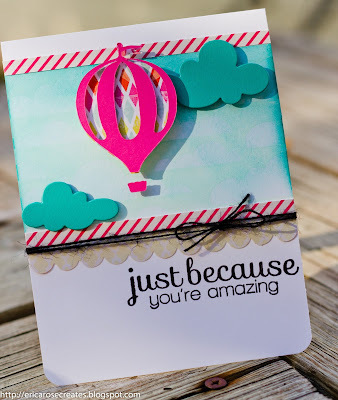 I stamped a pencil, colored it and added a thick coat of Glossy Accents. Trim a strip of paper to fit inside your box. Score and accordion fold. To make your book longer, adhere two strips together. Using a variety of stamps, decorate the inside of the book. 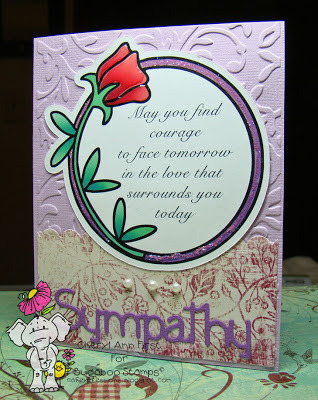 Measure strips of cardstock to fit the crayons and stamp a simple polka dot design in matching Powder Puff inks. 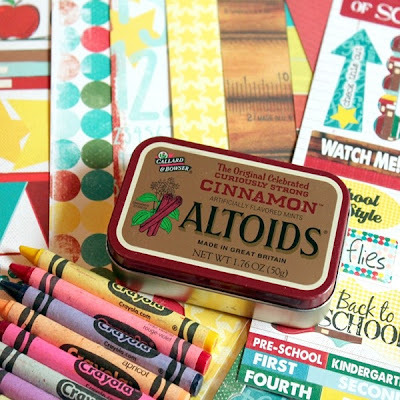 Create a project with... A Summer Theme! 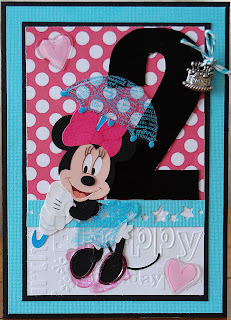 You can create a layout, card, mini album or altered art including the challenge theme. Challenge begins today and is open until 11:59 pm PST on 8/25. 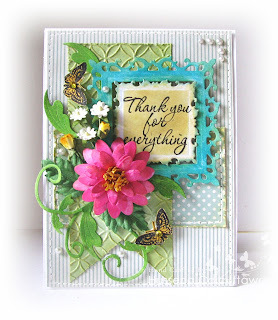 Wow, such fabulous cards created by the winners!!! Awesome job. 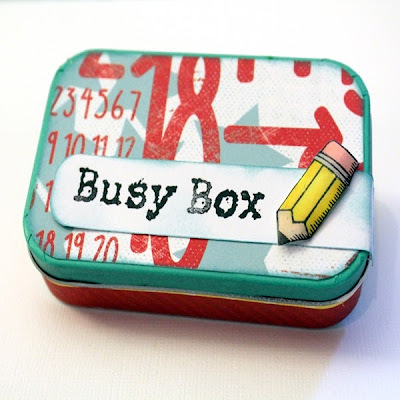 Wendy your busy box is adorable. Love the papers you tucked inside. Congrats to the winner. Wonderful Summer creation. Daughter is a sr in college and she stayed the Summer at college to take 2 classes which she rcvd an A- & A in. Hard to believe that it is Aug and she will be staarting her sr yr. Looks like I'm entry #1 again this mth. Thank you so much for selecting my card in the Top 3 and congrats to all the other winner's as well ..Loved your new challenge and the amazing inspiration from the Dt's!